Yesterday was supposed to be the beginning of Fallout 76's long road to recovery. While the critical appraisal of Bethesda's online survival game wasn't great, the game still boasts a community with a fervent belief in what the game can be. Patch 1.0.2.0 launched yesterday, offering the promised increase in stash space, some balance tweaks, and other bug fixes. Unfortunately, more problems have popped up, and now a community that seemed to be on Bethesda's side is starting to revolt. First up, the patch notes that Bethesda released included some of the changes, but avid players noticed a number of other undocumented changes. Players are reporting that production rates on certain materials have been lowered, the cap on ammo production is down, and fusion cores now drain faster, workshop resource collection rates were lowered, and drop rates for certain items from enemies have changed, among other things. There are a bunch of other potential changes that have been noted, but remain unconfirmed. Bethesda did fix a number of exploits though, including server hopping and a searching bug that players used to gain experience. Fans are increasingly angry. The lack of comprehensive patch has led some to decry the lack of communication from the developer, following promises that it'd be more transparent. "So much information which should have been listed is just not there, which I find so odd in this day and age. Most companies are super-transparent about what is being changed, yet Bethesda is choosing to leave us in the dark. No numbers or [percentages] for nerfs or buffs which need to be disclosed like they did with the automatic [weapons]. It shouldn't be up to the playerbase to figure out what the patches actually are," said one Reddit user. "Hi everyone—we want you to know that we are working on this, and will have more information for you all [as soon as possible]," said the Bethesda Game Studios Reddit account in another thread, promising "better answers, patch notes that are comprehensive, information on why changes are happening." 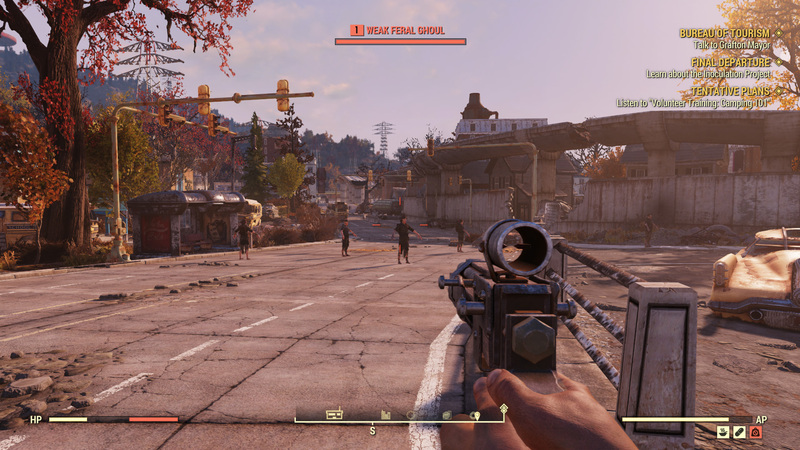 In addition to the undocumented changes, there are brand-new bugs affecting Fallout 76 players. A fix for bonus carry weight with one of the game's Power Armor suits seems to have gone in the opposite direction, causing players to lose carry weight. Players (and Bethesda itself) have already worked out a temporary fix for the issue: logging out completely naked and then logging back in. There's a damage bug that causes an enemy's health to refill after they've been damaged by a ranged weapon. One player noted that all of their power armor modifications stopped working with the new patch. Another stated that their entire stash disappeared completely after they were killed while within the stash menu. Some have even experienced hard crashes while attempting to log in, though once again, players have worked out a fix. There are a host of problems affecting Fallout 76 and the list seems to keep growing, causing current players to lose patience with Bethesda. There are hotfixes coming soon for some issues and Bethesda has promised another patch on December 11, 2018, but adding major bugs with each patch isn't a way to grow the fanbase for any online game. And that's before contending with design issues, like the lack of a real endgame or a reason to engage in player-vs-player combat. I still think Fallout 76 might be a much better game in the future, but it doesn't look like that future is coming anytime soon.